Bill Lowen's affinity for single-bladed spinnerbaits was born from his upbringing along the Ohio River. 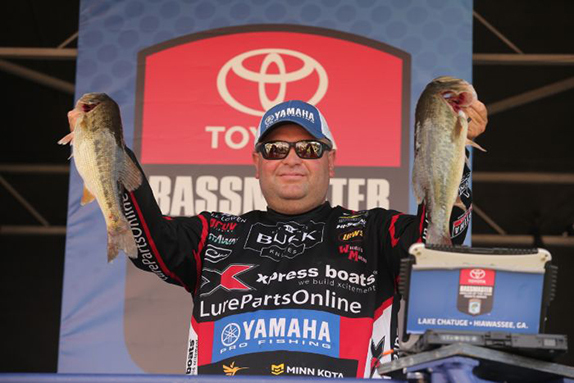 Bill Lowen has long been one of the most consistent anglers on the Bassmaster Elite Series. It�s no fluke either. He�s been a fixture on the circuit since its debut in 2006 largely because of his lunchbox work ethic and his reluctance to stray from his comfort zone. Growing up in Cincinnati, Ohio, where fishing was an important part of his upbringing, that comfort zone was the Ohio River. Lowen honed his skills and realized that fishing was how he wanted to earn a living. One of the first lures he was drawn to was a thumper spinnerbait, made with a single Colorado blade. It was an effective tool in the always-challenging waters of the Ohio. 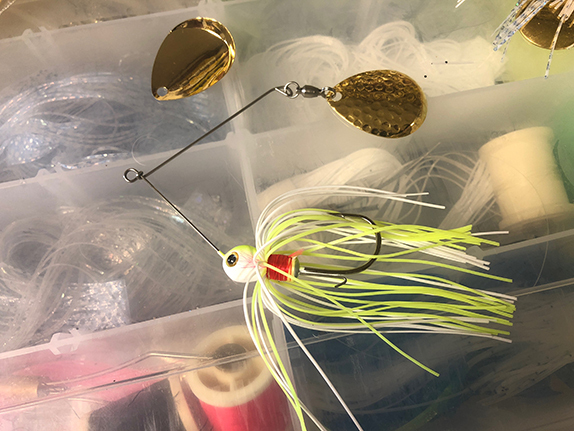 For Lowen, the key times of the year to have a thumper spinnerbait tied on are early in the spring, after the first few spring rain showers, or following a thaw that dumps run off into the system, as well as in the late fall. It�s a technique that works across the country, he says, but in many regions it�s too early (or late) for it to be effective around emergent vegetation. 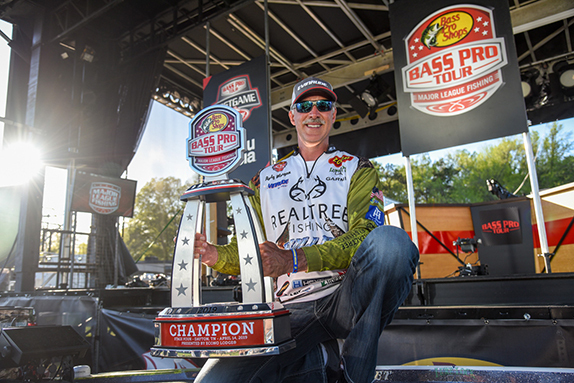 Instead, he�ll locate areas bass use to spawn in. Big laydowns, rip rap, rock, boat docks � any kind of hard structure � are key. �You are basically going down a bank and fishing everything in front of you,� Lowen said. Don�t worry about deflecting the spinnerbait off the cover. The water is cold and the largemouth are still a tad sluggish despite being hungry. His very first thumper was a 3/16-ounce Bomber Bushwacker equipped with a single nickel blade. Today, he opts to build his own, seizing on his relationship with online tackle accessories retailer LurePartsOnline.com, which has further stoked a passion for crafting his own jigs and buzzbaits, too. 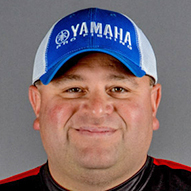 When he was younger, he�d shop �garage baits� that were literally built in garages and sold among those �in the know.� In fact, he used a Timmy Poe spinnerbait to place 2nd at the 2015 Chesapeake Bay Bassmaster Elite Series. Initially, he built his spinnerbaits off of a Custom Spin Guppy spinnerbait mold, but after years of tweaking and experimenting with different spinnerbait designs, his partnership with LurePartsOnline gave him the opportunity to finally design a spinnerbait based on his specs. At the top of his wish list was including a trailer keeper. 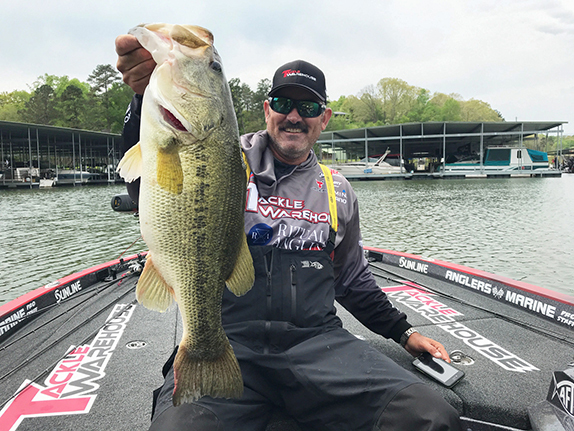 Lowen said the bodies will be will available for purchase later this fall or in early winter so anglers can customize their spinnerbaits to their own specifications. In the spring, Lowen prefers a �-ounce version built with a #4 or #4.5 Colorado blade with .032- or .034-gauge wire. Here's a closer look at a spinnerbait Lowen built himself. A fine wire always provides for more vibration and action, but the wire is so fragile that it might only last one fish if that. On the 3/8-ounce model that he fishes in the fall, he�ll use a larger #5 #7 blade to provide more vibration. On both baits, the arm length is always parallel to the skirt collar of the spinnerbait and he prefers a twisted line tie instead of an R-bend. He�ll alternate between a standard and deep cupped Colorado blade. He�d prefer that is a gold hammered blade because 90 percent of the spinnerbaits on the market don�t sport hammered blades anymore. 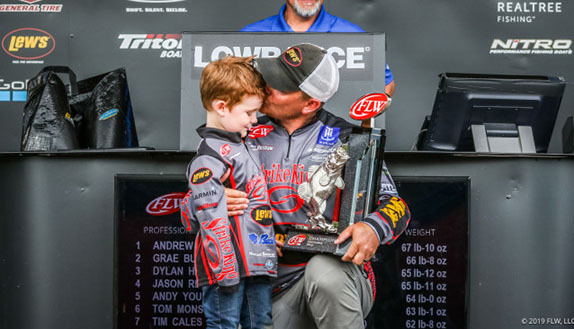 Lowen emphasized the importance of using smaller hooks in all of his baits. That�s why he�ll use a 2/0 or 3/0 hook on �-ounce spinnerbait and a 3/0 or 4/0 on 3/8-ounce bait. Lowen prefers to hand-tie all of his living rubber skirts with thread. �I like the umbrella look you get when you hand tie living rubber. I don�t like a regular fine rubber skirt like you would use on a jig,� he said. Basically, he�ll tie one tab on one end, then flip it and tie the other end and lastly use scissors and pull the skirt down and cut it in the middle. A white, chartreuse and white or black skirt is all Lowen needs. His choice of trailers is simple � either a single tail grub or a split trail trailer that he�ll match to the color of the skirt. He�ll also run a trailer hook, especially when money on the line, as it doesn�t impair the action of the bait. Lowen prefers a pretty stout rod with many techniques and this is no different. He goes with a 7-foot medium-heavy to heavy-action casting rod for both spinnerbait weights. That�s why he doesn�t hesitate to fish 20-pound HI-SEAS fluorocarbon spooled on a Lews Lite reel (6:8.1 ratio) with the drag locked down. The heavier line also gives the bait much needed buoyancy to keep it in the strike zone longer. When retrieving the bait, Lowen prefers a steady retrieve with little twitches mixed in. He also like to �kill it� and let it flutter down right beside a laydown, stump, or a bush. "I don't have one. Not yet, anyway." Fish � but not bass. " I can't eat money." "I don't really have a favorite. I listen to whatever." Father - "He's the one who introduced me to the outdoors and hunting and fishing." "I love the competition and the adrenalin rush it gives me, and I just love the great outdoors."